SKU: AC4113. 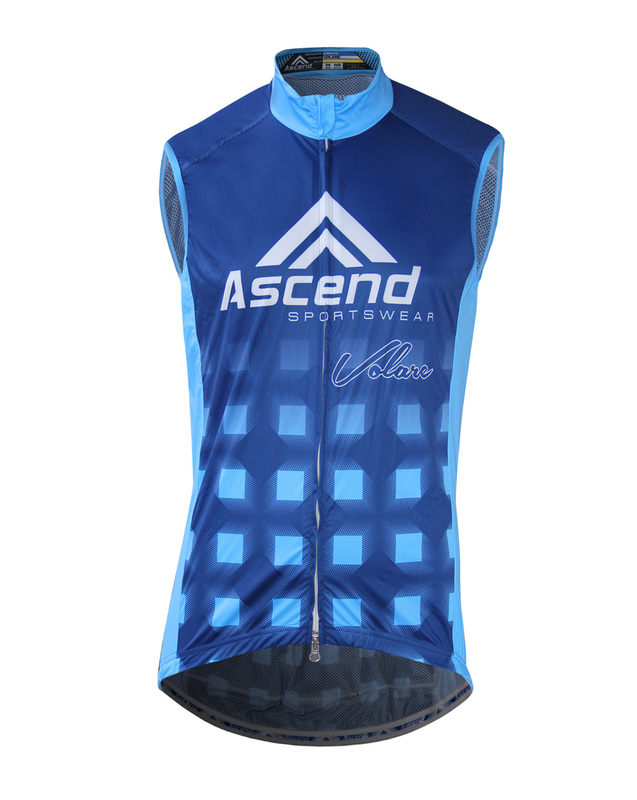 Categories: Custom Sportswear, Cycling, Wind Vests, Volare. Made from our Halo™ 110gsm fabric, the Volare™ Wind Vest is not only wind-proof, but is also a water-resistant shell with nearly 4-way stretch. Add to that a ventilating back panel of ultralight MITI Air Volo™ fabric, a Grip Lite™ silicone waist gripper, a Zip Guard™, HV™ Reflective Tag, and a bonus Dry Guard HD™ hidden zipper pocket in addition to the three main rear pockets, and you get our Volare™ Wind Vest––a very comfortable and super-versatile garment in an ultra-packable lightweight package. 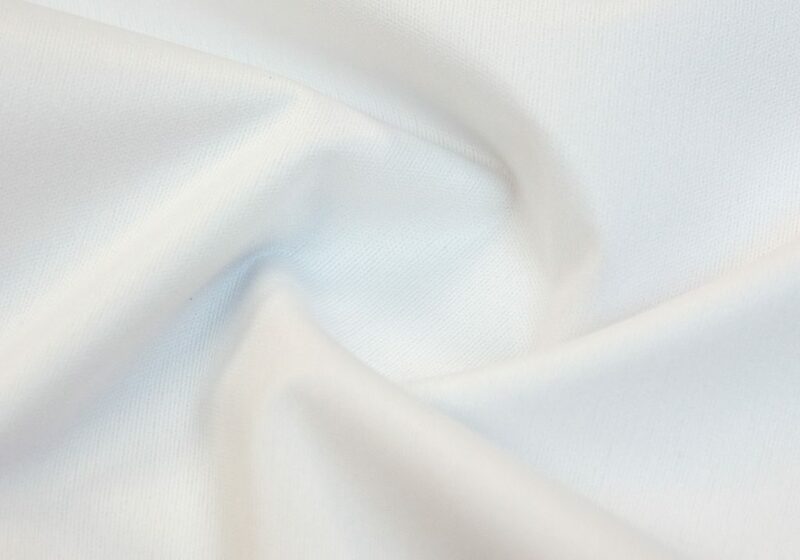 Advanced Halo™ 110gsm fabric for excellent full wind and water proof protection without feeling like you are in a sauna! 1 large Dry Guard HD™ bonus rear zipper pocket for advanced sweat and rain protection of valuables! Halo™ fabric attempts to thread the needle between standard and ultimate performance with its remarkably lightweight construction that offers solid windproof protection and a water-resistant knit. Although not fully waterproof, Halo™ repels exterior water away from the fabric meaning you stay dry longer when the elements come your way! At just 110gsm, Halo™ is very lightweight compared to other fabrics that provide both wind protection and water resistance. Because of its low weight, packing an extra layer made from Halo™ is as easy as folding it up and sticking it in your pocket! Although not a true 4-way stretch fabric, Halo™ delivers huge improvements in its ability to offer protection and stretch at the same time over other similar-weight shell fabrics. The effect to you is a more comfortable fit and less range-of-motion resistance. 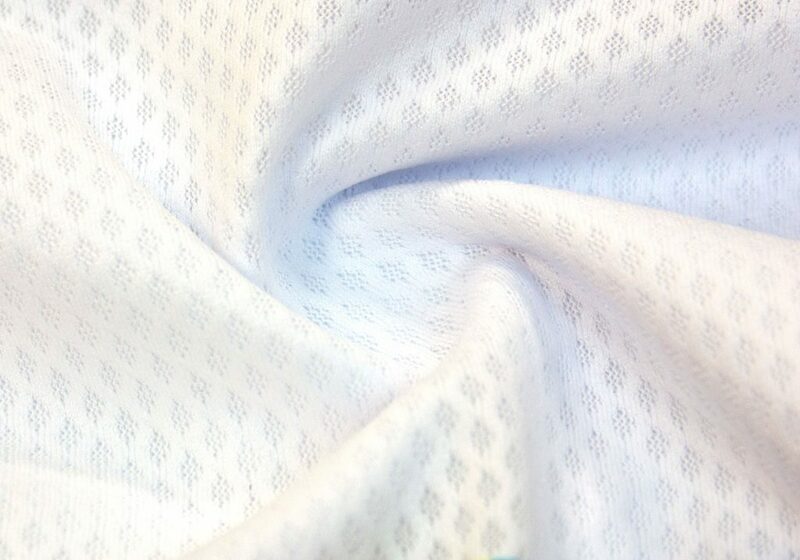 Italian MITI Air Volo™ is an engineering masterpiece with its ability to combine maximum breathability and an extreme lightweight form while still providing great privacy coverage for a mesh fabric. Its incredible knit gives you higher volumes of fresh air for advanced evaporative cooling that keeps you more comfortable even under the most strenuous activity. What’s more impressive is this knit doesn’t show itself behind artwork the way traditional mesh fabrics do, delivering vivid colors and prints. 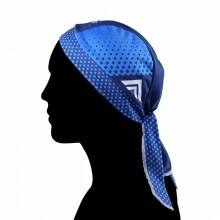 The result is a venting fabric with better coverage and privacy that still is ultra-lightweight. 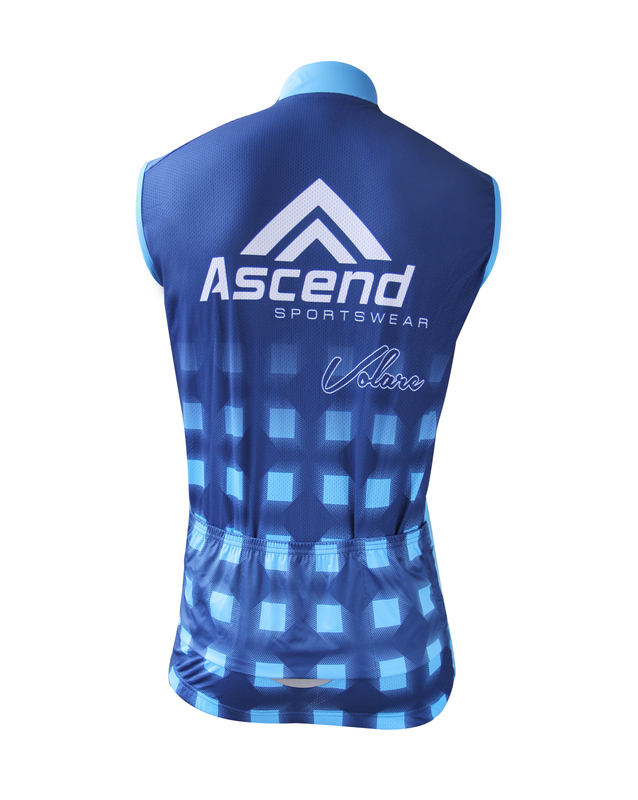 Seen on the pro tour many times, Air Volo™ is a game-changing fabric that, when used in your garment, you can count on to bring you a world of difference in air ventilation and comfort improvements!